Dr. Kimberly Greer began her appointment as Provost and Vice President for Academic Affairs at Stanislaus State in January 2017. 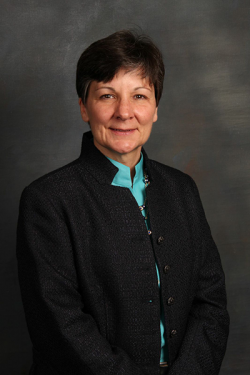 Prior to this appointment, she served in many roles at Minnesota State University, Mankato including the Dean of the College of Social and Behavioral Sciences, interim associate provost and associate vice president for Academic Affairs, and was a faculty member in the Department of Sociology and Corrections. Throughout her career, Dr. Greer has demonstrated a passion for assuring access and success for all students as well as a strong commitment to faculty excellence and community engagement. She has worked to establish procedures and practices that improve student retention and completion rates along with working to close the opportunity gap for underrepresented students. She has collaborated to lead and support a number of initiatives designed to recruit and retain diverse faculty and staff members. 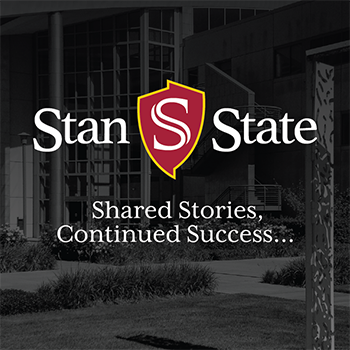 Since beginning her position at Stanislaus State, Dr. Greer led the development of the University Strategic Plan. The Strategic Plan represents a distillation of ideas and articulates a shared vision for reaching our shared goals. As co-chair of the University Strategic Planning Council, she utilized the feedback from open forums, campus-wide consultation, and data assessment to arrive at the important and overarching goals. She has been a tireless advocate for faculty excellence by committing additional resources to fund faculty research, scholarship and creative activity, promoting increased opportunities for faculty development through the Faculty Center for Excellence in Teaching and Learning and other venues. Finally, among other things, Provost Greer is dedicated to building a transparent budget process for the Division of Academic Affairs and advocating for increased resources to support the core mission of the university. Provost Greer earned both her BS in Criminal Justice and MSA from Southeast Missouri State University and her Doctorate in Sociology from Southern Illinois University, Carbondale.